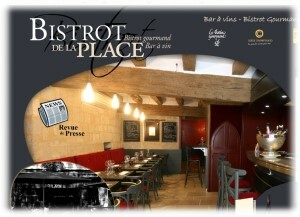 The Bistrot de la Place in Saumur (49 Maine-et-Loire, Pays de Loire) has a good range of local wines on offer to quaff along with some excellent home-cooked dishes at reasonable prices. This is an ideal venue in the heart of the attractive town of Saumur to do a bit of research on local vineyards without committing yourself. A few miles south of Saumur there is an excellent B&B at Le Coudray-Macouard – Manoir de Boisairault an 18th-century manor house in the village with en suite rooms and views of the mature gardens.